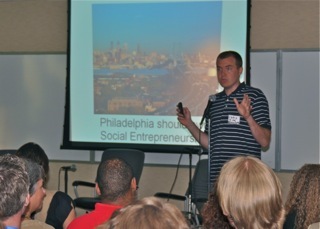 I’m still on something of a speaking tour talking about the idea that Philadelphia has a real reason to be seen as a hub of social entrepreneurship. -Which means I need to update my slides. This post led to this chat, which informed this event, which followed speaking at a Junto on the matter, video of which can be seen below, which was followed by still another event. And other organizations have reached out about continuing to push forward the conversation. Having a clear regional distinction can be a major contributing factor to attracting and retaining talent, in my estimation.